He was born in Bengal. His works were published in various journals including Aryavarta, Prabasi, Bharatvarsha and Manashi. Contributed articles on art in English and Bengali. Joint President, Indian Institute of Art and Industry, Calcutta. 1919 Founder member, Indian Academy of Fine Art, along with Jogeshchandra Seal, Jamini Roy, Hemendranath Mazumdar and Atul Bose, Calcutta. Founder member, Indian Institute of Art and Industry Exhb., Calcutta. Founder and Secretary, Society of Fine Arts, Calcutta. Fellow, Royal Academy of Arts, London. He was a patron and connoisseur of art. Studied under the guidance of Kunjalal Chakravarty. Royal Society of Art, London. Bhabani Charan Law was highly skilled in the handling of transparent watercolours and oil painting on canvas. 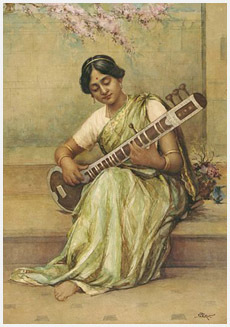 He painted scenes from the Indian epics, Puranic and historical episodes, and literary themes.